High Polish Cross Pendant in .925 Sterling Silver with the Lord's Prayed engraved on the back. Cross measures 45mm (1 3/4") long without bale and 27mm (1 1/16") wide. 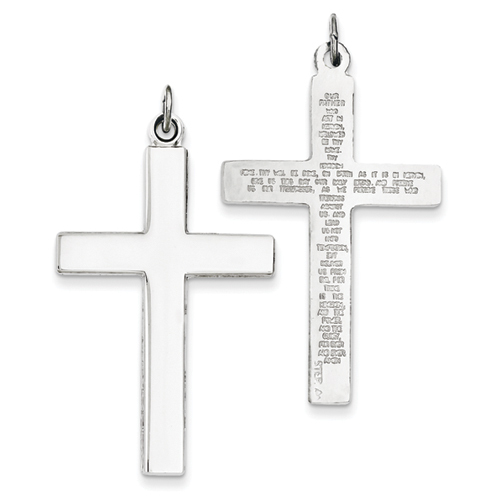 We guarantee our Sterling Silver Cross Pendant with Lord's Prayer to be high quality, authentic jewelry, as described above.